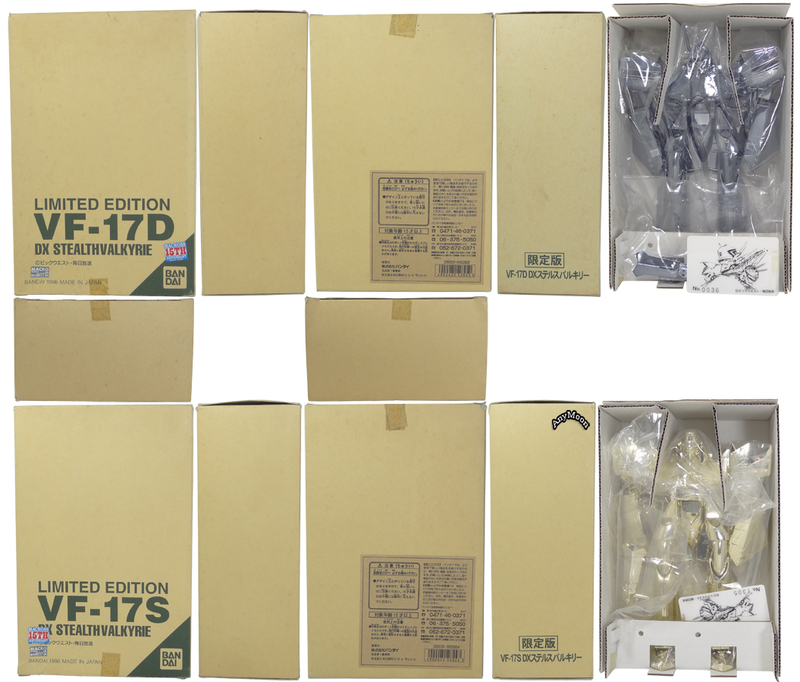 Just like Bandai’s original 1/65 VF-19 releases, the original release of the 17 toys come in appropriately-sized boxes packaged in battroid mode. 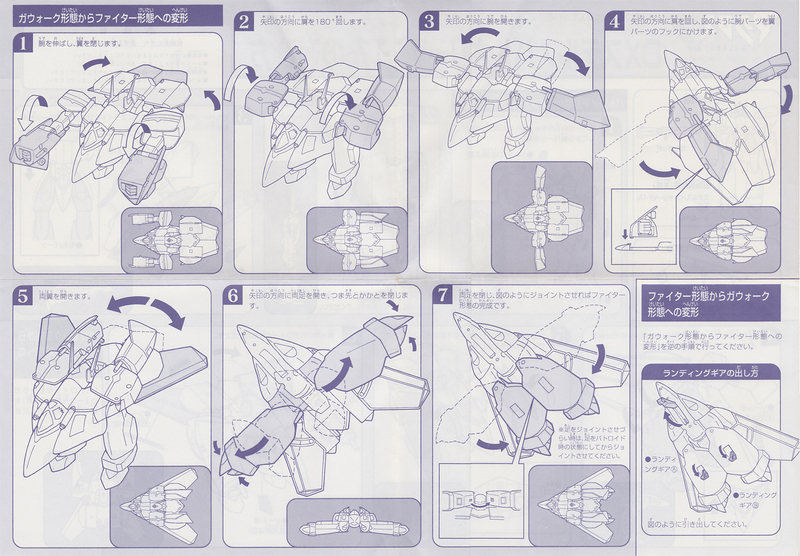 Unlike the VF-19 toys, the 17 toys come with the gun already assembled. Also unlike the 19, the 17 does not appear to have a huge problem with being bootlegged. 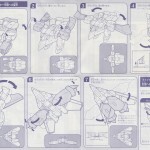 Stickers are included with the original releases as are straight-forward instructions but nothing else. The 17 toys are secured a little less defensively within their boxes than the 19 toys as they do not have a big pointy protrusion on the chest so there’s no need for a clear plastic shield or additional Styrofoam inserts to cover the torso. 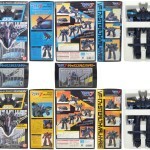 The reissue is more of the same except it’s packaged in fighter mode. The limited edition toys do not include any stickers and feature what appears to be the world’s cheapest packaging. The LEs come in plain cardboard boxes with cardboard inserts. Inside you get a nice shiny gun and a little card giving you a production number for your limited toy. 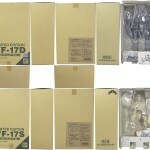 The VF-17S has been reissued once effectively reducing its collectability. It benefits from being a large perfectly transformable toy but there’s no metal here and it’s not a particularly good toy. The VF-17 in general also doesn’t have a particularly strong following. As a result, these toys, especially the reissues, can typically be found dirt cheap. 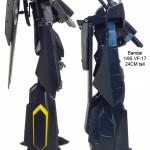 Bandai certainly kept up the chunky tradition with the 17. This is especially evident in fighter mode. The front end of the plane is stubby, the mid-section is thick, and overall it looks only slightly more aero-dynamic than a brick. 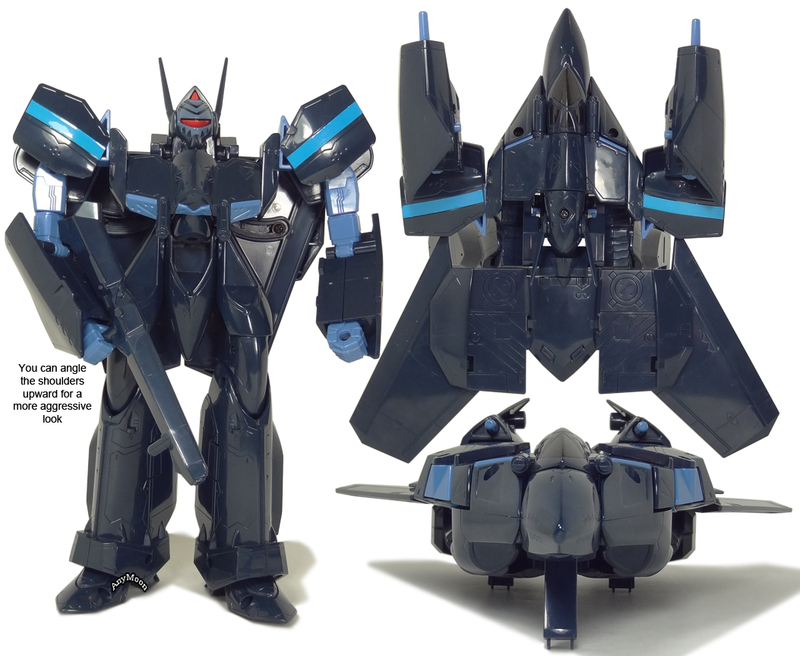 I have never been a fan of the VF-17’s GERWALK mode which eschews one of the primary benefits of GERWALK mode (arms and the ability to point your weapon away from the direction the craft is facing) but I think, of all the modes, that is the one mode this toy pulls off most faithfully. Battroid mode isn’t horrendous from a sculpt and proportion standpoint although the crotch hangs far too low. There’s practically no paint on the original releases of this toy and the panel lines provided are thick. 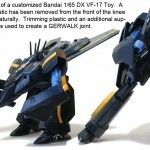 The gun doesn’t really have anywhere to go except in battroid mode as the toy does not attempt to emulate the storage system in the vehicle’s leg. 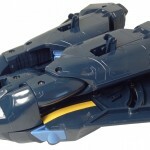 Also note that the landing gears for this toy are hideous and non-functional. 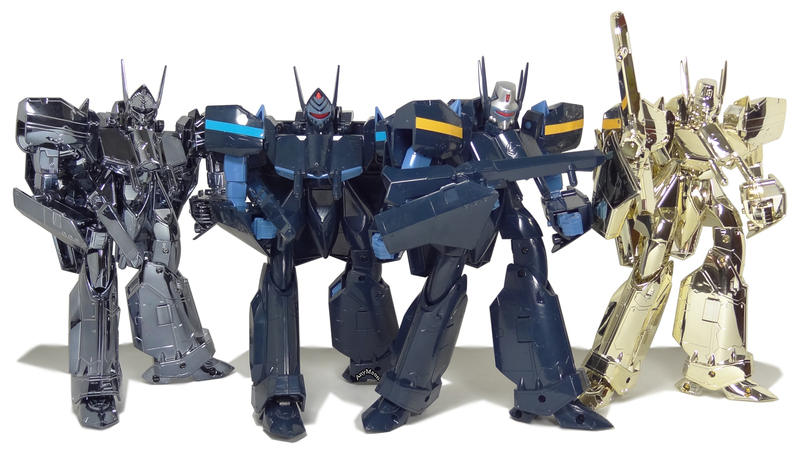 The reissue could score higher as there are a few added accents painted on. 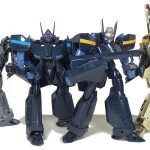 There are pictures of a customized reissue in this review. 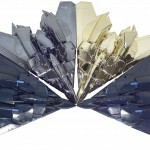 Designed with simplicity and durability in mind, this toy transforms to each mode quickly and efficiently. 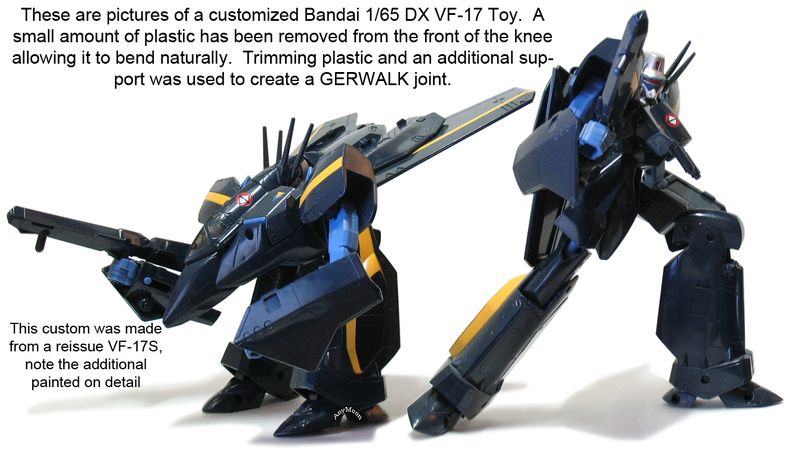 One terrible design flaw is the knee joint of the figure in battroid mode: it only bends in the wrong direction (which is necessary to accomplish GERWALK mode). The kicker is, there is only a very thin piece of plastic on the leg that is limiting the range of motion and could easily have been removed at the expense of only a minor detriment to the already compromised aesthetics. Had the knees offered better range of movement this toy would be much, much more fun. 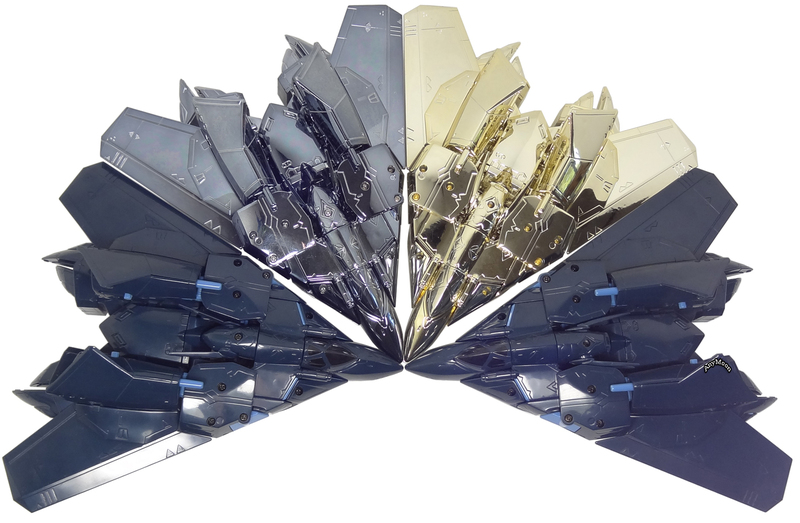 To demonstrate this, I took a reissue of the VF-17S (they’re available quite cheap) and hacked off some plastic in a few areas to make the toy more fun. Now, this is a completely unprofessional hack job done by someone experimenting with snips but the result was a toy whose range of movement improved drastically with extremely minimal. 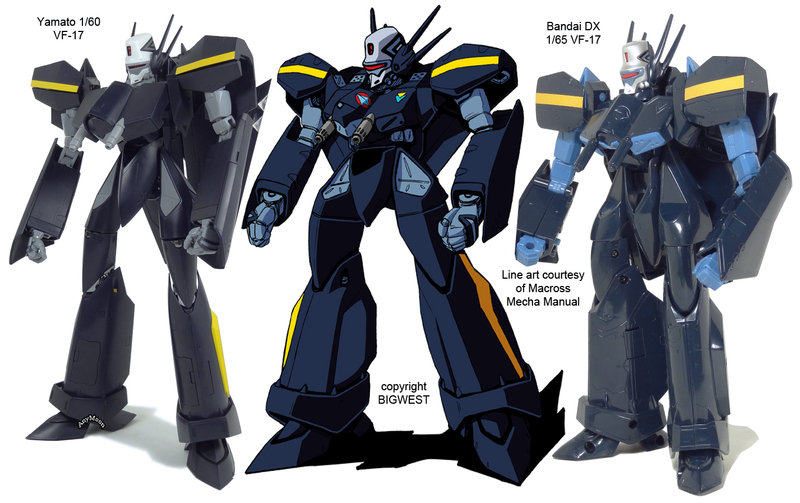 Bandai should have incorporated these slight changes into their design. The toy’s inability to accommodate the gun in fighter and GERWALK modes is also a bit of a letdown but even Yamato swung and missed when they tried to incorporate fighter mode gun storage. The landing gears not only look atrocious but they’re overly simplistic in their implementation. As was par for the era, don’t expect an opening canopy and/or a pilot figure. 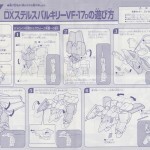 While it is light the VF-17 doesn’t lack structural rigidity. In fact, the lack of bulk probably enhances durability. My VF-17D hasn’t been played with in any way, although it has been transformed and posed a few times, and it does feel a bit loose. The beauty of this toy is that it is entirely assembled with screws so if it does start getting a little sloppy it only takes a few seconds with a screwdriver to correct it. Overall, this thing is super solid without any clear indications that any particular part may be susceptible to accidental breaking. The LE versions are scoring quite a bit less here because the faux metal finish is very prone to scratching. 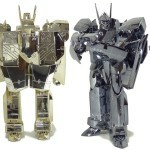 The “metal” plastic will look dull at any spot that rubs if these toys are handled. Obviously this is a big bummer since the luster of the metal-looking finish is the only draw of the LEs. Why?? Why don’t the knees bend the proper direction? The resulting stiffness severely hampers the excellent mobility of the toy’s shoulders and arms. A twist point at the waist would have been a little bit difficult to engineer but certainly possible. This is the only toy I’ve ever owned that had a lack of articulation so frustrating to me that I actually took snips to it to correct it. You do get very mobile arms and shoulders, a head that swivels left and right, hips (forward or backward motion only), feet that offer a minimal range of motion, and lasers on the head you can point independently of each other. 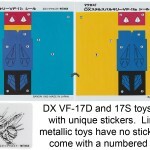 When I first reviewed these toys this 1/65 DX VF-17 was the only VF-17 toy on the market. 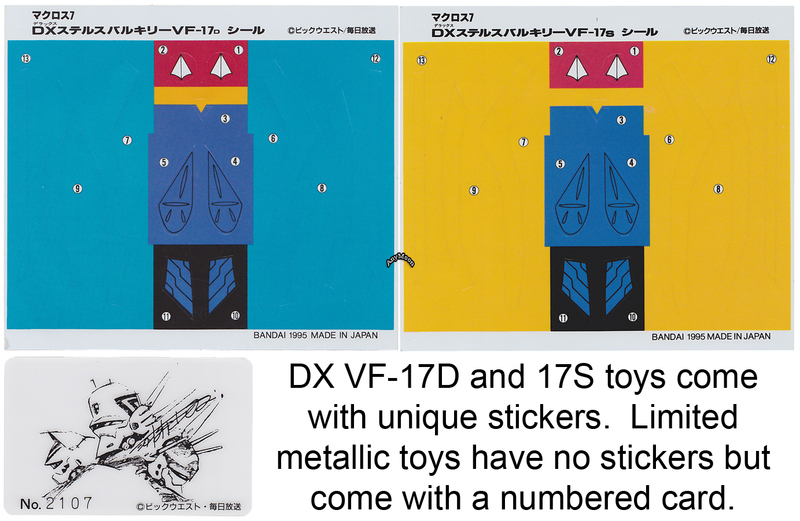 At that time I hoped Yamato’s VF-X license would allow them to make a VF-17 (since Macross7 was still exclusively licensed by Bandai). A few years later Yamato had let the VF-X license expire but gained access to the Macross7 license and we actually got our 1/60 VF-17 toy! Maybe it’s not quite the masterpiece some of Yamato’s other efforts were but it still does a good job sending this toy off into the realm of “for completionists only”. 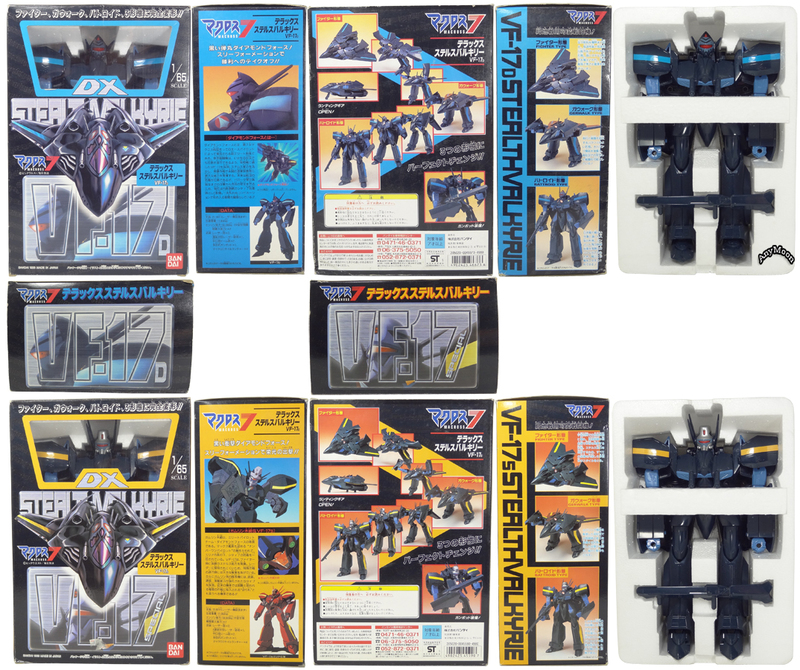 If you do pick up one of these classic VF-17 toys and you feel the urge to customize it, check out the link in the comments below for a how-to of sorts. Another great use for these toys? Gifts for children. The original and reissue can stand up to some seriously wicked play time. NOTE: This review has been updated. 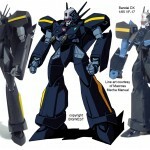 Content was updated to include the limited edition releases and mention of the newer Yamato release. I would like to do this to mine. Mine didn’t have the most stable hips in the world, the one in that thread looks like it came out better so I’d follow his instructions. Wow, your modified version looks considerably better than the stock one. I’d never considered buying one of these before, but the possibility of easily modifying one for actual posability is really appealing. On another note, the VF-17 is shown in a traditional GERWALK mode in Dynamite 7 episode 3. 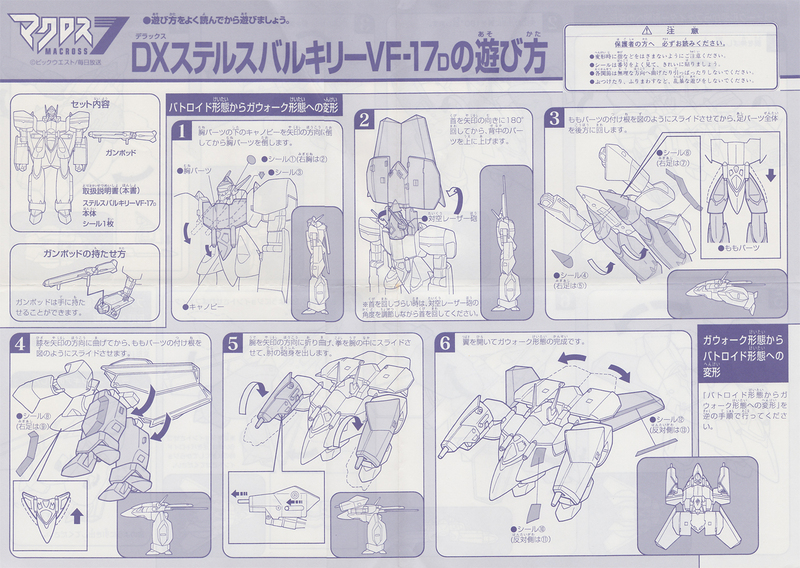 In addition in VF-X2, the VF-17 uses the normal GERWALK mode rather than the ‘elbows up’ mode shown in Macross 7/Digital Mission VF-X. Nice review of this vintage, gave me enough confidence on this valk to purchase it. Will post some pics in my blog once i get it. Great review. I’m new to the site and have been actively perusing it for ideas to building my own collection. 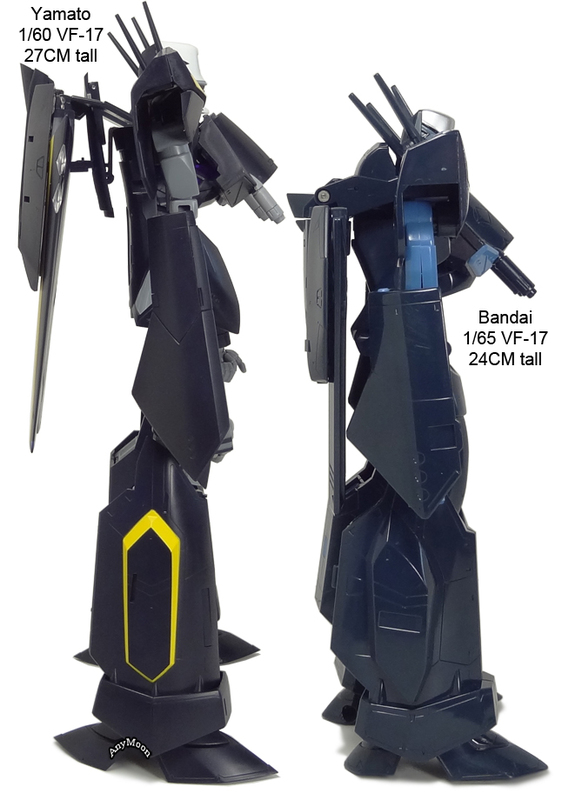 Now that Yamato has in fact released a VF-17S, will you be doing a review on it? I’m curious to see your breakdown and comparisons. Yep, in fact I was hoping to have it this week but I think I’m a victim of Golden Week. 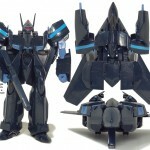 Hopefully my Yamato VF-17S and V2 VF-25 Super parts will arrive this week and get up on the site shortly thereafter. 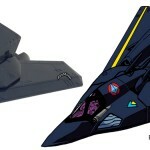 After the Yamato 17 is up I’ll give this review a refresher to bring it up to snuff with my more modern reviews. I have one of these on the way…. I was wondering if you could tell me it the height on the 1:65 is 24 cm to the top of the head or the top of the head lasers? IIRC it’s to the top of the head, not the laser.